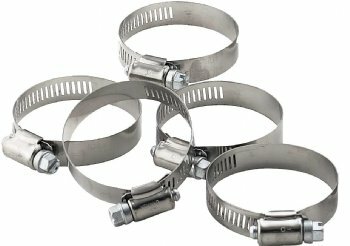 Constant tension clamps come with a 5/16" hex slotted head and 1/2" wide stainless steel band. Fully adjustable and ideal for making flexible duct connections in diameters ranging from 2" to 24". Offer maximum strength and anti-shear protection. Not recommended for underground applications.